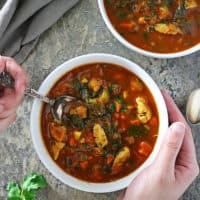 With a hearty broth made with garlic, spices and Kitchen Basics Bone Broth, we found this low carb, Turkey Spinach Soup to be so tasty and filling ~ and I’m hoping you do as well. My mom is hipper than I am. While I am still listening to my 80s spotify jams, my mom and daughter are exchanging notes on this months chart toppers. My mom seems to have mastered her new phone, while I am still trying to figure out my 2 year old one. 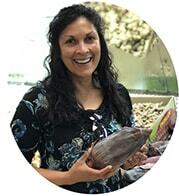 And, when it comes to the latest nutrition news, my mom always seems to have a better handle on better-for-us foods and health trends. Last year, my mom started a regimen of drinking bone broth to help up her protein intake. She often enjoys a warm bowl of bone broth as a starter before her meals or, sometimes, even as a nightcap. And, she tried to convince us to do the same. 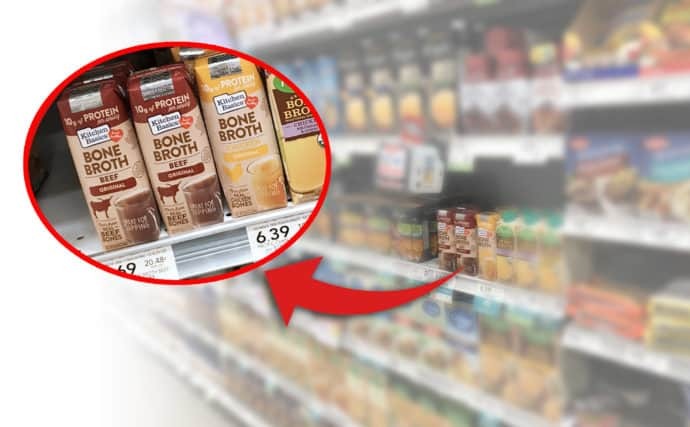 So, when I came across McCormick’s Kitchen Basics Bone Broth and Kitchen Basics Original Beef Bone Broth at my neighborhood Publix store, I decided to follow in my mom’s footsteps. 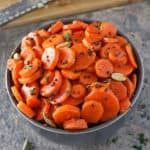 These days I often use Kitchen Basics Bone Broth to boil a batch of quinoa or rice and to deglaze a pan when I am sauteeing up veggies and meats. 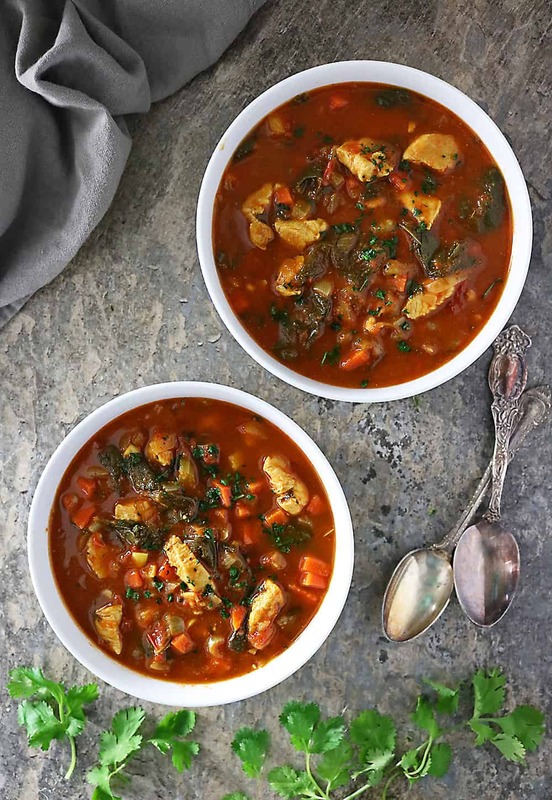 Most times, I replace water or stock with Kitchen Basics Original Chicken Bone Broth when I make curries or soups like this hearty, Chunky Turkey Spinach Soup. Kitchen Basics Bone Broth is the only one certified Heart Healthy by the American Heart Association. 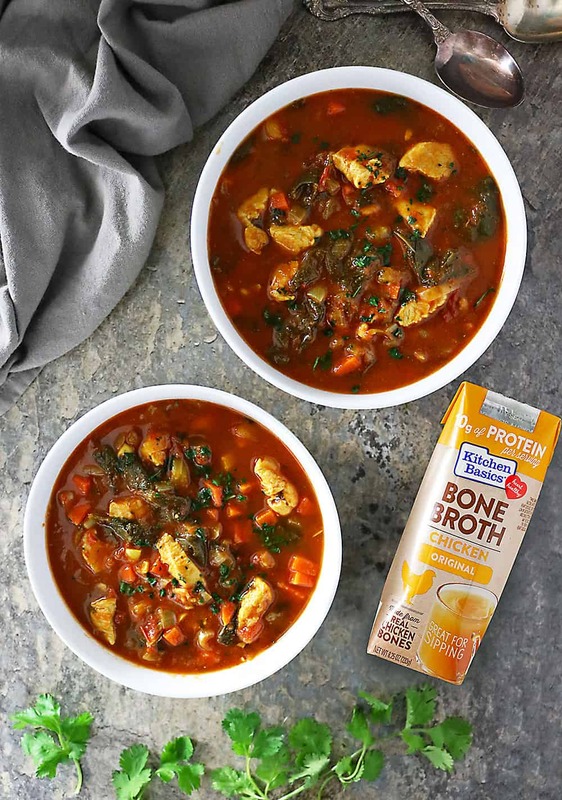 With only 50-60 calories per serving, one serving of Kitchen Basics Bone Broth (one 8.25 oz container) contains 10g of protein which is 20% of the daily recommended amount and only 50-60 calories per serving. 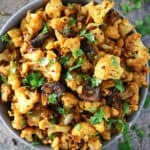 Hearty, delicious flavor made from real bones, organic vegetables, herbs and spices. 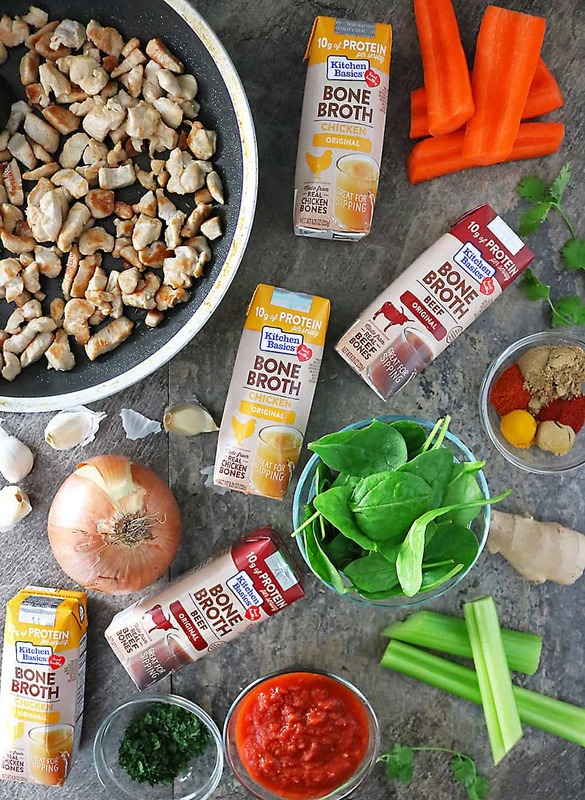 Kitchen Basics bone broth is savory and comforting, with a richer and bolder flavor than traditional broths. Replace Kitchen Basics Bone Broth for water and broth when cooking grains such as rice or quinoa. Use Kitchen Basics Bone Broth when sautéing vegetables or braising meats. Kitchen Basics Bone Broth is a delicious and hearty substitute for water or stock while making sauces, gravies, and soups like this Chunky Turkey Spinach Soup. 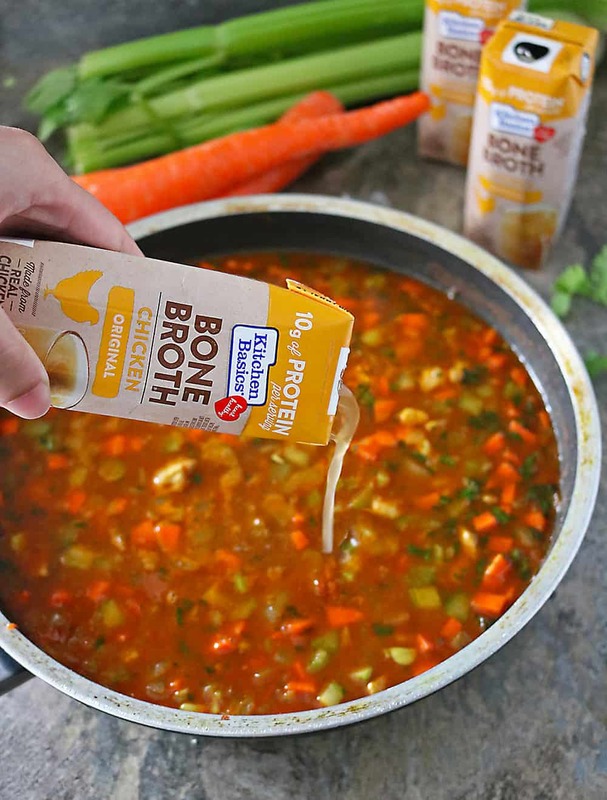 Kitchen Basics Original Chicken Bone Broth can be found at the following retailers: Publix, HEB, Food Lion, Giant / Stop & Shop, Safeway, AND Amazon! 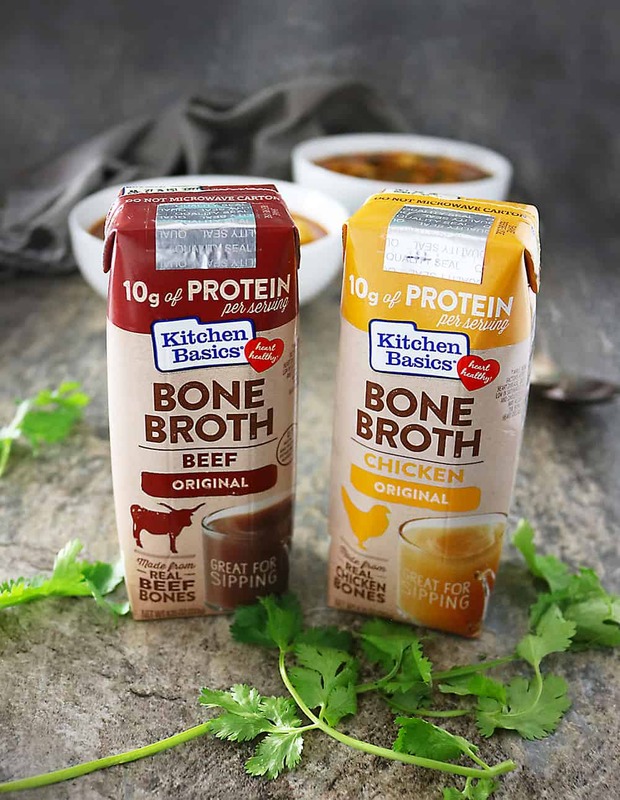 Kitchen Basics Bone Broth builds upon the brand’s 20+ years of stock expertise to deliver a rich, savory bone broth full of protein and flavor. Inspired by great cooks, Kitchen Basics introduced the first ready-to-use stocks in 1996. Kitchen Basics Bone Broth help you take everyday recipes from good to great. Now, let’s talk about this Chunky Turkey Spinach Soup for a sec. The temperamental temperatures of the South East coast are back in the 30s and 40s which means soups on most nights of the week. When it comes to soup, I usually prefer a hearty, chunky soup that feels like a one bowl meal. And this Turkey Spinach soup fits the bill. With gently caramelized onions, ginger and garlic and spices like coriander, cumin, smoked paprika, and turmeric, this soup is quite flavorful. However, with Kitchen Basics Original Chicken Bone Broth added in, this soup is so darn delicious! To make this a soup that filled me up, I also added in carrots, celery, and spinach along with some turkey breast. This soup is quite filling eaten as is. But, you can throw in some crusty bread to sop up all the leftover thick soup coating the bottom of your bowl, when you are done. 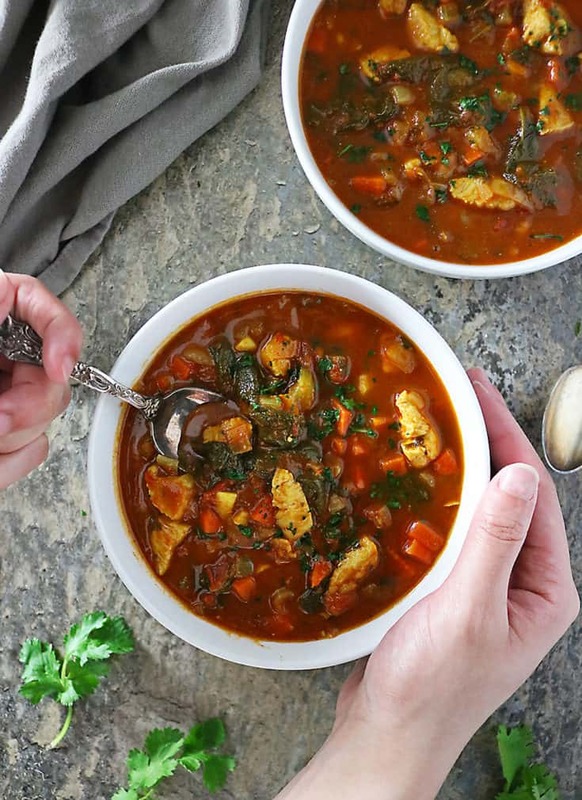 With a hearty broth made with garlic, spices and Kitchen Basics Bone Broth, we found this low carb, Turkey Spinach Soup to be so tasty and filling ~ and I'm hoping you do as well. First off, wash and chop celery and carrot. Also chop onion and garlic cloves. And, peel and grate some fresh ginger root. Add 1 tbsp oil to a pan over medium high heat and then add in turkey. Cook turkey until lightly golden. Then, spoon turkey into another bowl/plate. Add 1 tbsp oil back into the same pan, set the heat to medium high, and add chopped onion and garlic into it. Saute until onion is light;y golden. Add in grated ginger and saute a couple of minutes. 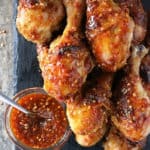 Add the coriander, chili powder, smoked paprika, cumin, turmeric, crushed tomatoes, as well as Kitchen Basics Chicken Bone Broth and stir well. Add in the carrot and celery and the cooked turkey and cover let simmer about 12-15 minutes. Uncover and add in spinach and stir. Let simmer until spinach is wilted. 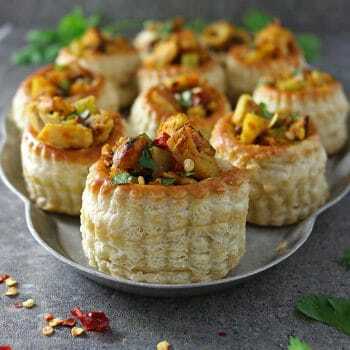 Packed full of flavours and deliciousness…I wish I could have some for my breakfast! 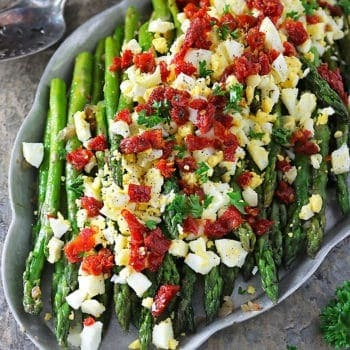 WOW…how deliciously does this look! This is really very tasty. I would love to try this! Looks like a tasty set of ingredients and I love the color (I assume from the paprika). Perfect for the cold. 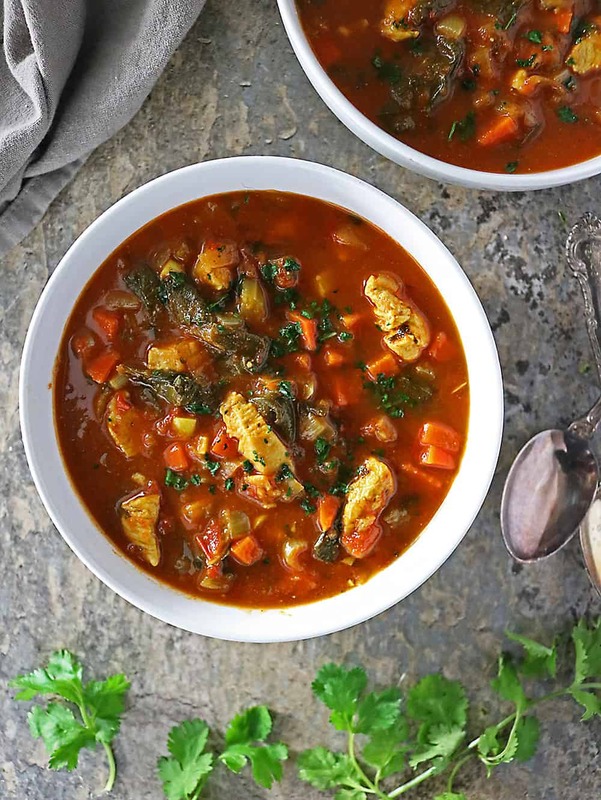 This tasty soup is perfect for these chilly days. I love using bone broth, it adds so much flavor! Oh yum. 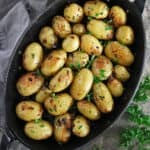 I love it that this recipe is naturally low carb and Keto. I can’t wait to give it a try. Haha! I think Robbie knows his way around the iPad better than I do! He teaches me how to do things. “No, Dad, you do this.” 🙂 Crazy, right? But what’s NOT crazy at all is this soup. It sounds amazing! We’re in the middle of our crazy move up here, and it was super cold last week. The kind of weather that just begs for a bowl of soup. This one sounds like it needs to be on my “to-make soon” list. Thanks for sharing, my friend!